...because she does the job, just like you do... every. single. day. Imagine having somebody who has a solid brand in the industry. Somebody who has been recognized as being an industry leader for more than 15 years and who has the knowledge and the history to guide you been in the industry for 23 years, and has appeared on dozens of TV shows, had interviews in hundreds of magazines, newspapers and other media and has seen recession, internet boom, internet crash and another recession. 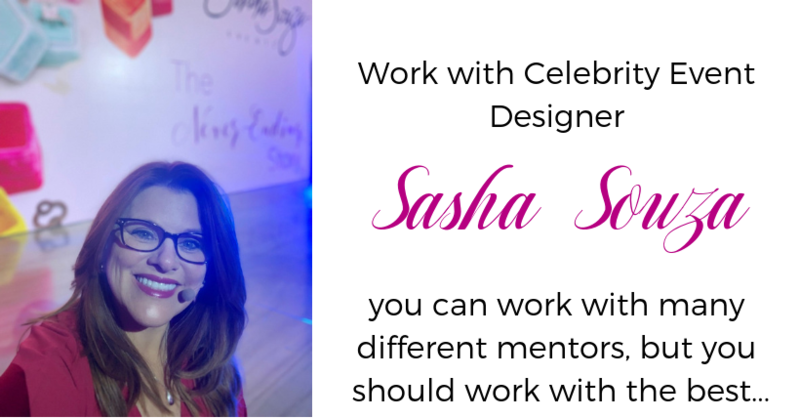 Someone who has written three books about weddings, design, and planning and has the ability to advise you on how to set yourself apart from the competition AND make yourself one of the all-stars of the wedding industry. If you are in an area where you are one of the hundreds of planners all charging the same rate, all vying for the same couples and are looking to make yourself unique, this series is right for you. All of the levels that I have put together with help get you from where you are now to the next level in your career. Would you like to charge for the time you put into planning the event and get paid for it? Do you want to have somebody review your materials with an unbiased eye and tell you how you can set yourself apart? Then you need to join us on this amazing adventure.